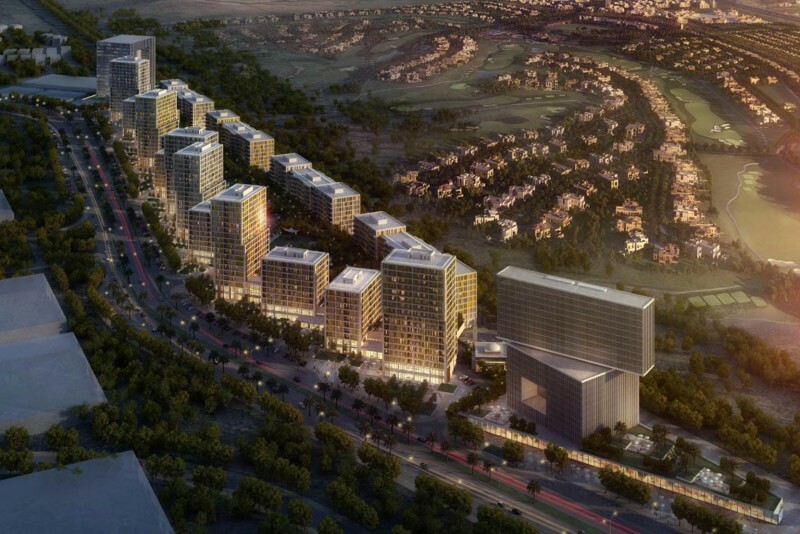 Acacia at Park Heights is a proposed residential development in the Dubai Hills Estate, part of the initial phase of Muhammed Bin Rashid City. The project is a joint venture between Emaar and Meraas Holding. According to Emaar all homes will feature premium and quality finishes and will be designed to world-class standards. It will house 477 one-, two- and three-bedroom apartments. The project is aimed at families and boasts of green landscapes and uninterrupted views of a green central park. Acacia at Park Heights lies in close proximity to a shopping mall, hotels, schools, a multi-purpose community hall, fitness centre with steam and sauna rooms, children’s play areas and communal spaces. There will also be jogging and bicycle tracks. Acacia at Park Heights will be located at the crossroads of Al Qudra and Sheikh Mohammed Bin Zayed Road which is about 10 minutes drive from Downtown Dubai. The scheduled completion date for Acacia 1 is May 2019, and for Acacia 2 October 2019. One-click links to properties currently on the market in Acacia at Park Heights.